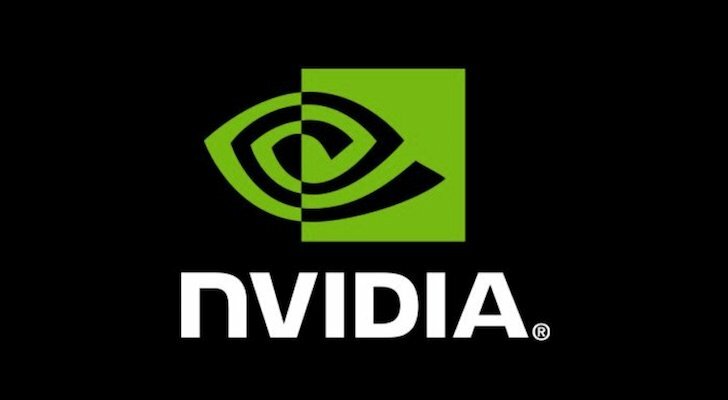 Nvidia Corporation (NASDAQ:NVDA) moved heavily in trading. The stock rose almost 2% in Monday’s session. And according to analysts at Jeffries, Steven Spielberg’s latest film may be the reason. Ready Player One appears set to promote virtual reality — and NVDA stock — to a new level. The boost from the Spielberg film could become just the latest publicity boost for Nvidia stock. The company’s latest chips have driven the equity to new highs, particularly over the last three years. The massive rise in the stock also confirms a much bigger trend — one that shows that Nvidia has become the next Intel Corporation (NASDAQ:INTC). The film Ready Player One depicts a dystopia where people retreat to a virtual world known as “OASIS.” Analysts at Jeffries believe the movie, set for release on March 29th, could drive interest in virtual-reality (VR) headsets powered by Nvidia chips. VR remains only one of Nvidia’s many growing markets. Other technologies such as artificial intelligence (AI), data centers and cryptocurrency also rely on the chips NVDA produces. Nvidia announcement of Pegasus last year was a substantial boost to AI in the self-driving auto market. Pegasus will power fully autonomous robotaxis. The company expects Uber, Lyft and traditional taxi companies to start implementing this capability as early as next year. Thanks to advances like this and Nvidia’s VR technologies, NVDA stock has risen eleven-fold over the last three years. The rise of Nvidia has caught the attention of peers such as Intel and Advanced Micro Devices, Inc. (NASDAQ:AMD), who have both struggled and benefitted from the changing tech landscape. Intel became the dominant chipmaker in the 80’s and 90’s as business and consumers widely adopted the PC. Intel remains the world’s largest chip-maker. It has also made moves into data centers and the Internet of Things (IoT). Still, the PCs for which Intel provides chips have fallen out of favor. In most of the latest technologies –VR, AI, cryptocurrency and data centers — Nvidia has become the chip provider of choice. Perhaps the most significant sign of Nvidia’s dominance is an Intel/AMD alliance. Intel and AMD, who had been archrivals for decades, now work together to compete with Nvidia. Like Intel in previous decades, Nvidia stands as AMD’s current nemesis. Jeffries mentioned AMD as another possible beneficiary in the surge of VR. Still, AMD remains a distant third in market share, though that share has risen recently. I typically urge caution in light of large run-ups. However, NVDA stock appears poised to keep rising. It price-to-earnings (PE) ratio stands at about 50. While that remains higher than many of its direct peers, NVDA still has not risen to the triple-digit valuations seen by the likes of Amazon.com, Inc. (NASDAQ:AMZN) and Netflix, Inc. (NASDAQ:NFLX). Analysts expect 29% earnings per share (EPS) growth this year. They also believe profits for Nvidia stock will double from current levels by 2021. This places the 2018 forward PE at around 40. By 2021, that forward PE falls to 26 times earnings at today’s price levels. Moreover, Jeffries who emphasized Nvidia’s link to the Ready Player One release, already had a price target on the stock set at $300 per share. The surge in Nvidia stock coming from the Ready Player One release serves as the latest confirmation that NVDA has become the new Intel. Sales of VR headsets should increase following the release of the movie. Moreover, as PCs decline in importance, and VR, AI, crypto and data centers rise, Nvidia emerges as a chip provider of choice in all of these tech segments. This dominance makes Nvidia the new Intel. Like Intel in the 90’s, Nvidia has become AMD’s archrival. Moreover, with the profit growth it looks poised to enjoy, Nvidia stock should continue rising despite its PE ratio rising above 50. Given this dominance, investors should now look to NVDA as the go-to chipmaker, if they don’t already. Article printed from InvestorPlace Media, https://investorplace.com/2018/03/nvidia-stock-generations-intel/.